Michael and Suzanne Hupy Honored | Hupy and Abraham, S.C. The 35th Annual COA Youth and Family Centers “Parents of the Year” Luncheon was held August 22, 2017, at the Italian Community Center in Milwaukee, Wisconsin. Hupy and Abraham president, Attorney Michael Hupy, and his wife, Suzanne, were honorees at the event. 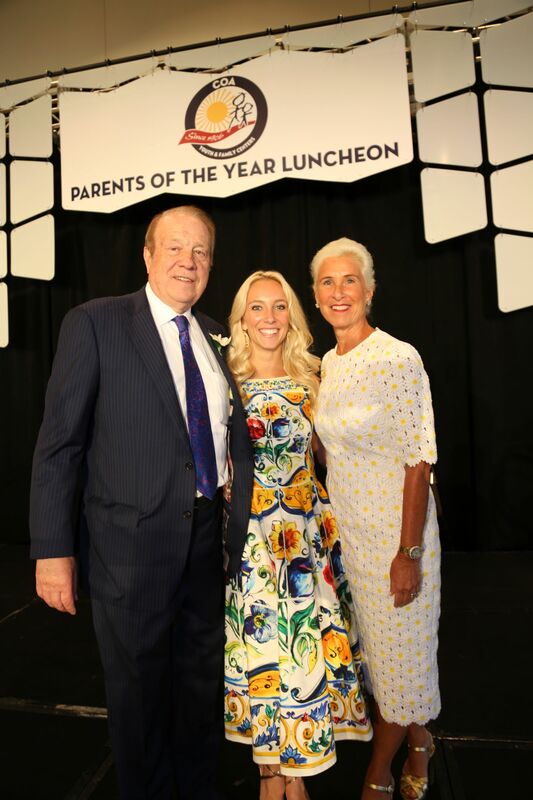 A number of firm employees, Attorney Hupy, Suzanne and their daughter, Maxine, were among the record setting 400 attendees. Hupy and Abraham was a presenting sponsor for the event, which raised over $167,000 in support of Milwaukee's children and families. COA Youth and Family Centers is an organization that assists Milwaukee children, teens and their families to reach their greatest potential through a thorough system offering educational, recreation and social work programs. For over 100 years, COA has championed diversity and cooperation as a means to promote growth and positive social interaction, so its participants can develop the skills allowing them to live better, healthier and more connected lives. COA is currently the highest rated human services organization in the state of Wisconsin, having received a four-star Charity Navigator rating the past 11 years. Attorney Jason Abraham, Managing Partner of Hupy and Abraham, S.C., was co-chairman of the luncheon, along with David Lubar. They acted as hosts of the event and announced that the 2017 Parents of the Year donation efforts were the highest amount in the last five years. Following a brief introduction and a performance by children in the nationally accredited early childhood education program, Thomas Schneider, executive director of COA, spoke a few words. He thanked Attorney Hupy and Suzanne along with the other honoree couple, Linda Gorens-Levey and Michael Levey, for their support of COA. The organization helps over 10,000 people a year at its 12 centers. “Parents of the Year” recognizes the critical role of parents in the growth of children’s lives. The Ethel Nutis Gill Award, given to a participating COA parent, was given to Shapayl Parker, a mother of two children dedicated to COA and making an impact to other parents. Rex Hupy, Attorney Hupy and Suzanne’s son, thanked his parents through a video, due to not being able to attend. He works at a 900-man law firm in New York City. Maxine, professional actress and dancer, spoke a few words about the impact her parents made on her life, morals and successes. Hupy and Abraham, S.C. would like to congratulate Attorney Hupy and Suzanne Hupy for receiving this well-deserved honor!